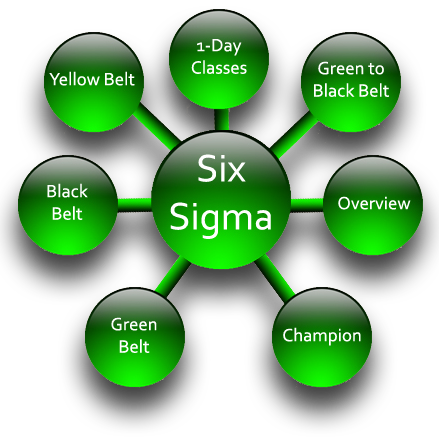 Six Sigma Belts Training with Certification are high in demands and also the core requirement of industries. The program is especially designed for whom who are willing to know the complete skill set of Six Sigma philosophy and its implementation techniques. Further how this complete skills sets are helpful for the organizations and give the ultimate edge in the competitive market with Goodwill. This program is not only to provide the comprehensive knowledge of Quality Management aspects with respect to Six sigma technqiues, its also covers comprehensive knowledge of Qualitative & Quantitative Quality Management Prospects with respect to organization's products. The Program also covers the complete statistical skills as mainly required to pass the Six Sigma Black Belt Certification. "The Candidate Should be Bachelors and working in any Quality Management at any office. It is recommended that professionals can join this training who are already working at any office and have some knowledge of Quality Management. If the candidate is new or fresh, then it is recommended that he or she will join ISO 9001:2008 training at our campus. " 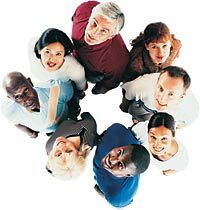 o The people who are involved in the Quality Management and like to use and develop their skills as Quality Manager. This program is professional cadre program. The most important aspect of this Certification is to have complete set of knowledge at any domain of the organization. The Six Sigma training will equipped the participants with the latest methodologies of Quality Management . Group Based Learning techniques would be used to facilitate the participants with Live Projects. The Certification shall be awarded from 3D Educators. The program is totally practical based and participant will be more equipped and trained in respect of Six Sigma Quality management. Therefore, the option and opportunities are opened in the world and you can excel in your career after this training program. As mentioned above the certifications are most important part now in the professional world. Especially in the field of Quality and Supply Chain Management, you cannot survive, if you don't have got the International Credentials with you. All big organizations Offer the different Certifications that accredited you in the professional world. 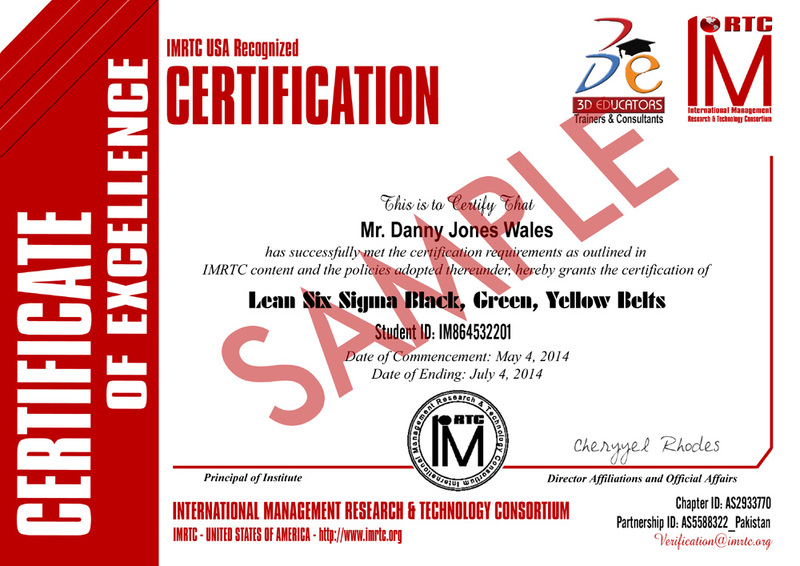 This is further clarify that Journey to Six Sigma Certifications(Yellow, Green and Black Belts) Shall be finally given by the International Body from USA IMRTC - International Management Research and Technology Consortium. The Certification Holds the unique identity of the candidate, which can be verified through their official website http://www.imrtc.org.